Old models of DH-Budenberg deadweight testers can now be upgraded to extend their service life and lower cost of ownership. Older deadweight testers such as Model 370, 380 and 480 can be simply upgraded by assessing the condition of the present piston cylinder and masses. The 580C comparator base can then be used with the existing piston cylinder unit and existing masses to essentially upgrade to the latest models. The upgrade will facilitate an extension to the tester’s service life while lowering the cost of ownership. The 580C comparator base is provided with a custom made adapter to suit the specific piston in use in the older models. 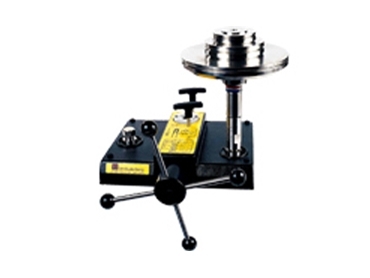 DH-Budenberg masses are fully interchangeable between deadweight testers and are not specific to a particular piston. Masses are available in kPa, Mpa, psi, bar and kg/cm². The 580C comparator forms the standard base for all current hydraulic models from the 1-120 bar model through to the 1-1400 bar model. As with all DH-Budenberg deadweight testers, the 580C comes with a 3-year warranty. Service/ overhaul and NATA certification is also available on all deadweight testers.